Looking for an easy DIY that’s going to take your Halloween decor up a notch? Perhaps a gift for a fellow spook? I got you. This is such a fun DIY and wicked easy. To get started – take the glass out of the shadow box. Wash, dry, and play your stencil. 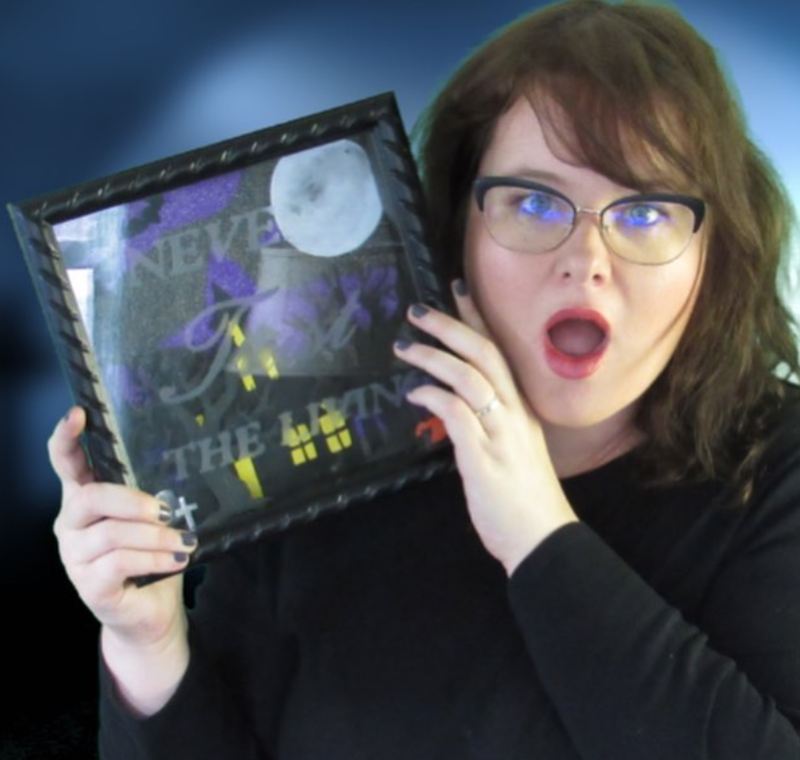 For this particular project, I used the phrase, “never trust the living.” Add your etching cream (for a tutorial on etching cream – check here). 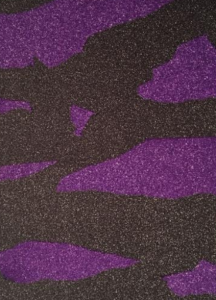 I used the glitter vinyl in black and purple to make for a spooky sky. 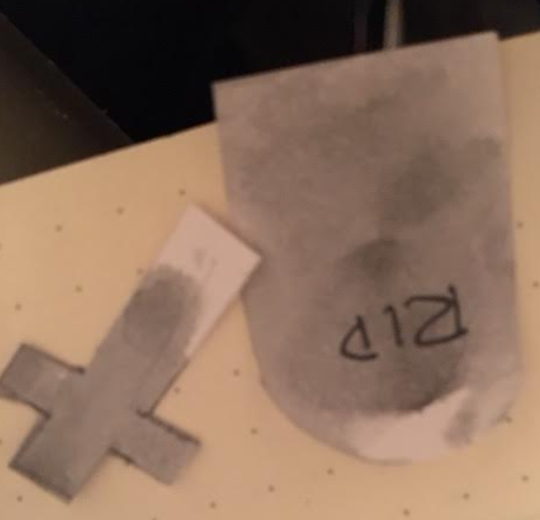 It was super easy to tear and it’s already sticky, so no glue is required for this. If you don’t want to use vinyl, substitute with construction paper. 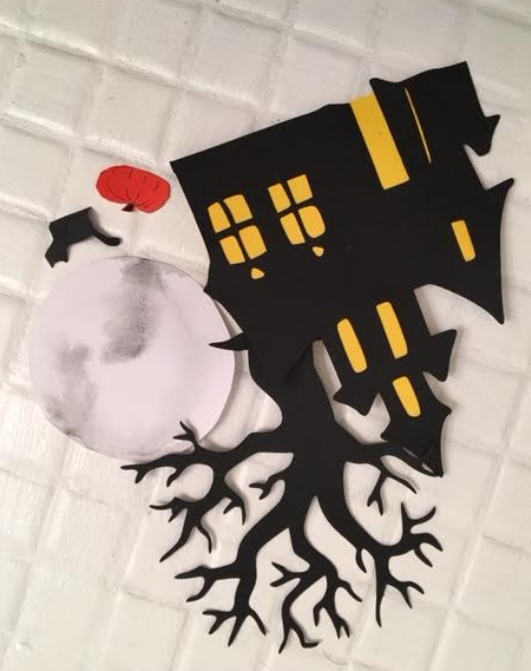 I found a haunted house template online, traced, and cut it out of paper. Use scrap paper to add details into the lights. 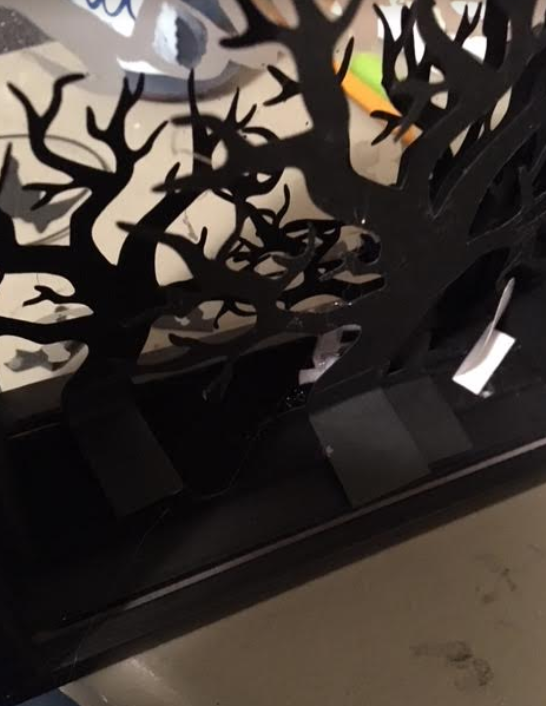 Cut out other Halloween shapes to add: witch, pumpkin, bats, full moon, spooky trees, tombstones, and a black cat. I folded some paper and glued them on to each shape to function as a stand. 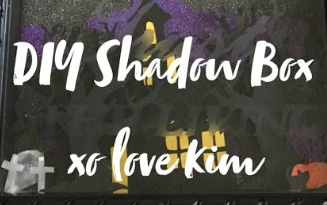 From there – I glued directly into the shadow box with my trusty glue gun. Spooky shapes! Water color moon. I recommend gluing your house directly the the background to save room for all of your spooks. 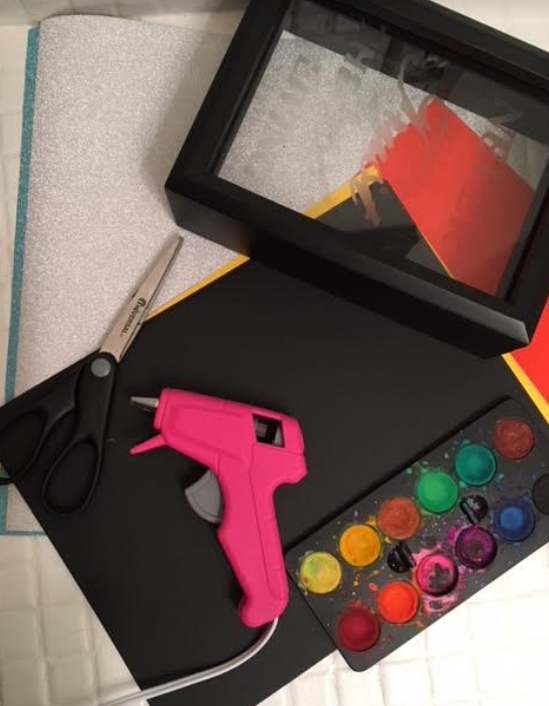 Once all of your shapes are glued into place, put the shadow box back together. Hang and enjoy! Tip: Add twinkle lights (battery operated) for more appeal!